Are you looking for a wireless speaker that’ll give you good sound quality and incredible features? You should consider trying out Amazon’s Alexa Echo Wireless Speaker! 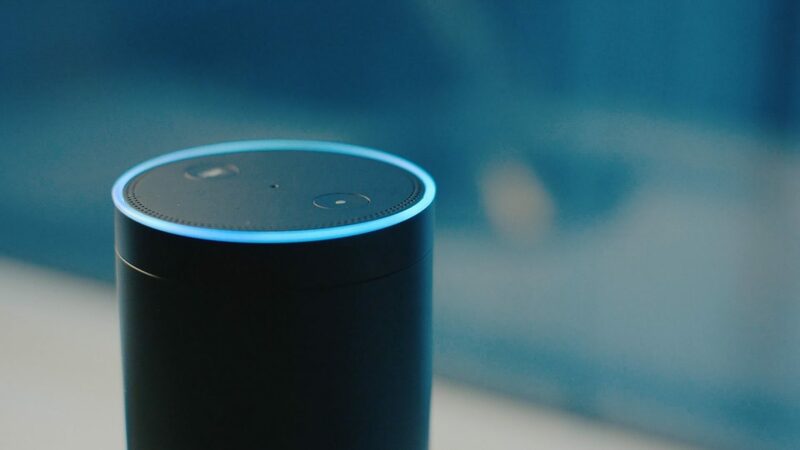 The name ‘Alexa’ was coined from the ancient library of Alexandria in Egypt. It’s Amazon’s voice-activated assistant that allows you to speak your commands and see them fulfilled in an instant. Alexa can translate your voice commands so she can play music, turn the lights on, order items on Amazon, and order food in fancy restaurants. Thanks to Echo’s incredible speakers, Alexa can respond to voice requests from any place inside its hearing distance. You don’t even have to worry because there are no activation buttons to press. It’s very convenient and excellent for you if you’re into smart home devices. Just say the trigger words like ‘Alexa,’ ‘Echo,’ ‘Amazon,’ or ‘Computer.’ Then voice out your commands to the speaker. It’ll immediately respond to your request as long as everything is set, and you’re using the correct commands. If you deliver a command, you don’t have to say it twice because part of Alexa’s fantastic feature is its seven very sensitive microphones built into the Echo speaker. Alexa is always listening and gives response quickly. The default word is ‘Alexa, ’ but it can still be changed to ‘Echo,’ ‘Amazon,’ or ‘Computer.’ Your command should always start with these words followed by your request. The speaker may not respond to your requests if the magic words aren’t said first. If you wish to know the weather for the day, Alexa will automatically answer with the latest weather update of your location. Voice out your favorite music and Alexa will search the Amazon Music Catalog for the music that you requested. But, only those that have an account in Amazon Prime can access to Prime Music. You can also make a ‘to-do list’ using Amazon’s Alexa. This speaker is a convenience for smart-home users out there. You can only voice out your commands one at a time. Saying “Alexa, turn the lights off and play Perfect by One Direction,” will just confuse the voice assistant and may not carry out the command. There are also some concerns about the speaker that may need improvements. Alexa may have problems executing your commands because of background noise and overly loud music. The noise cancellation technology may also need an improvement. Level up your multimedia experience on your desktop or mobile device with the Arion Legacy AR204B-WH Desktop Bluetooth speaker. Our desktop computers act more than just a computer. It’s our source of music and movie experience. With these Bluetooth speakers, you can experience watching movies like you’re in a movie theater and listen to music like you’re on a concert stage. Even playing games get leveled up with these Bluetooth speakers. If you want, you can mount these speakers on your wall with its wall mount bracket. Install these speakers on your desktop computer with no sweat. Connect the satellite speakers to one another through the color-coded wires. After that, plug in the power cable to an outlet then connect your desktop to the AR204B-WH’s microphone input using the 3.5mm stereo cable (included). Then off you go to revel in your audio experience. For controls, there are three control knobs available within reach. You can effortlessly switch it on/off, adjust the volume levels, bass and treble. Simply turn the knobs according to your desired audio taste. On the side lies the 3.5mm headphone and microphone output for private audio listening. The Arion Legacy AR204B-WH Desktop Bluetooth Speaker delivers full, enriching and refreshing sounds. Armed with 20 watts RMS and 30 watts of total power, the speaker offers a well-balanced audio without distortion. The wooden cabinets that cover these speakers help the woofer and tweeters produce authentic and booming sound. Unless the enriching and refreshing sound of this wireless speaker which is Armed with 20 watts RMS and 30 watts of total power. Switching from wired to wireless audio streaming is as easy as 1, 2, 3. Say goodbye to wires when you stream from devices with Bluetooth connectivity such as a smartphone, tablet or laptops. Only push the Bluetooth button for 3 seconds, and it automatically pairs with your device. Once paired, you can listen to music without messy wires. It uses the Bluetooth 3.0 + EDR technology for wireless transmission. Want to use it again for your desktop? Press the same button, and it switches back to wired mode. Whatever connection you choose, this speaker can give you the best audio experience. Use it wired or wireless. 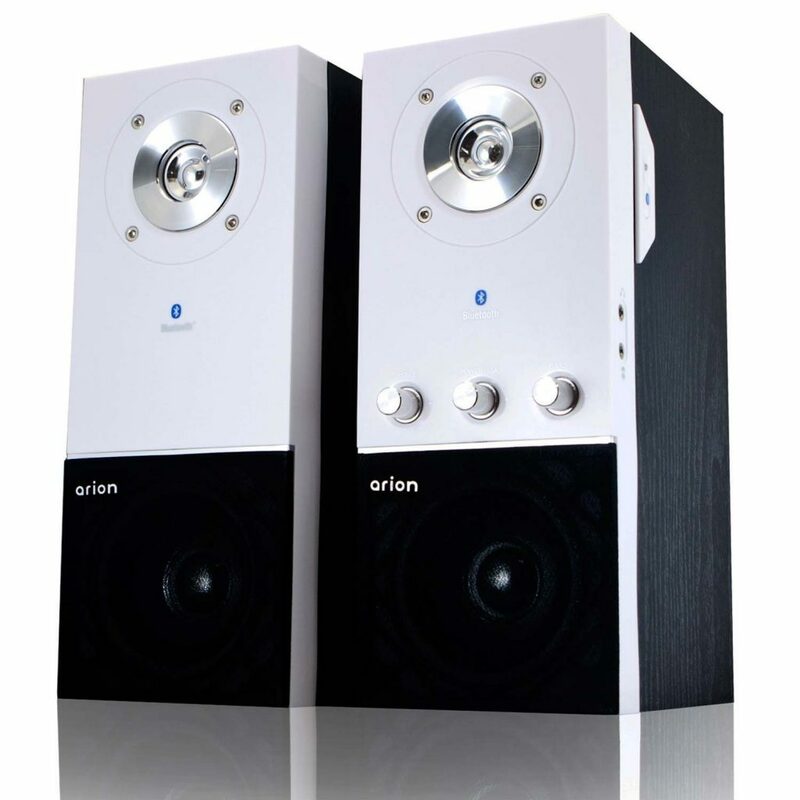 The Arion Legacy AR204B-WH Desktop Bluetooth Speaker will give you the best of both worlds. Enjoy the crisp and vibrant sound and indulge! The speaker has enhanced my audio experience. I can play music, watch movies and play games on my computer as well as my mobile device. I can personally customize on how much bass and treble I’d like to hear in a song.